I notice in the videos, the mechanism is cycled outside of the cabinet, using a metal tool. This looks a lot easier than trying to use a heavy, long screw driver. Any suggestions on where to get one of these tools? 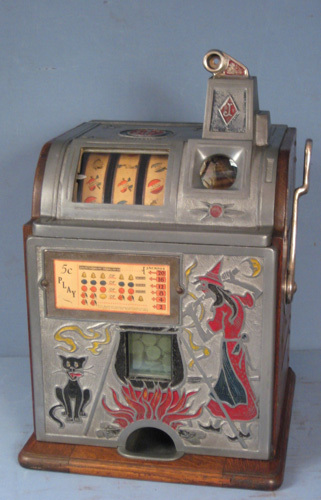 Is there a seperate tool for each slot machine manufacturer? It is hard to see in the video exactly what the tool looks like. There are three different tools. One for mills and pace, one for Jennings, and one for watling. Dave Berten has them I believe. I also make them but have none available at this time. Thanks. How could I contact Dave Berten? Got the Mills and Jennings cycling tools, but Dave Berten does not have a Watling. Plese let me know if anyone is aware of an available Watling cycling tool for purchase.